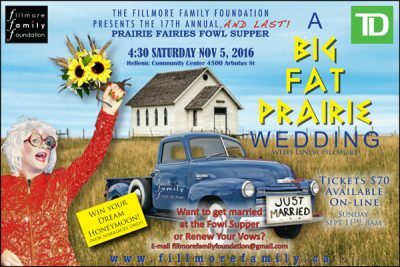 The 17th Annual Prairie Fairies Fowl Supper to mark it’s finale with a chance for you to get married. That’s right, forget about working on those wedding plans and extra costs involved in getting married. The Fillmore Family Foundation “will be takin care of it all!” says Linday Fillmore. Linda Fillmore, Matriarch of the Fillmore Family and the Fillmore Family Foundation. Prairie by nature, Gorgeous by god. Saskatchewan-born, widowed, farmer has dedicated her semi-retirement years to sharing the tales and journeys of prairie folk. 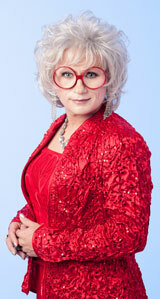 Born in 1933, Linda learned at a young age that the key to survival was not only fresh prairie air and good hard work, but also that a “forty” of Golden Wedding goes a long way in stiffening the bones for a long hard winter, and sure makes the boys at the Legion hall look a might bit prettier on a cold prairie night. McLaren Housing Society of BC was Canada’s first housing program for people living with HIV/AIDS. Since 1987, its mandate has been to provide safe and affordable housing. 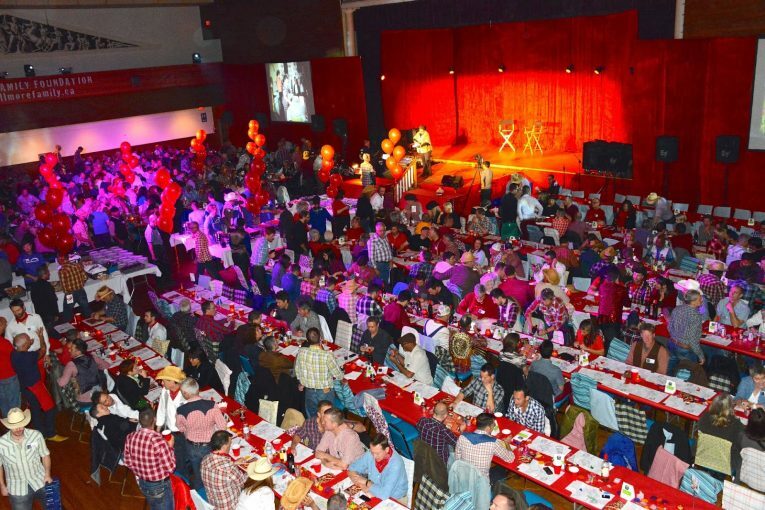 A Loving Spoonful is a volunteer driven, non-partisan Society that provides free, nutritious meals to people living with HIV/AIDS in the Greater Vancouver Area. Camp Out! 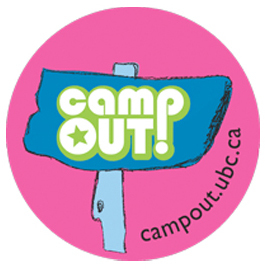 An empowering summer camping experience for BC’s queer, trans and allied youth aged 14-21.